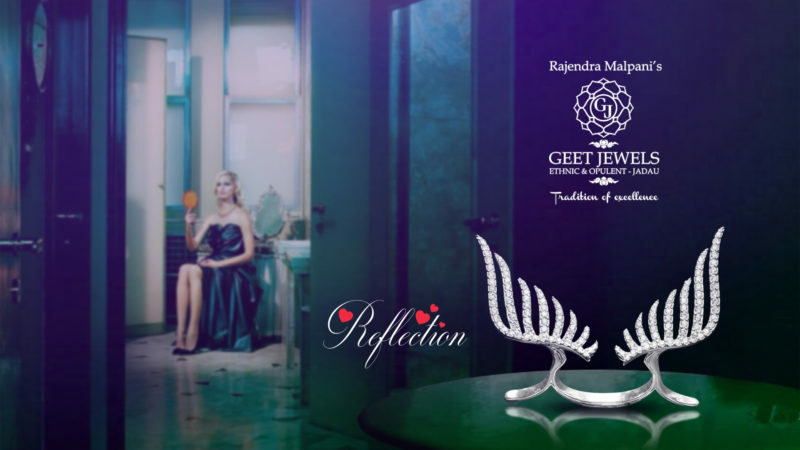 Style yourself with this beautiful Angel Wings Ring from the Geet Jewels collection-Reflection. Every part of gold wing is beautifully designed and set with brilliant cut diamonds , to reflect peace, purity & protection. Let Your aura be free to fly with Geet Jewels. At Geet Jewels, we have been efficiently serving the top-most jewellery houses and international brands for over three decades with a mission to provide quality products and services at competitive prices. Innovation in our products, rich experience and market study of three decades enables us to deliver customized solutions to cater to the fast changing urban jewellery requirements. #Geetjewels #Reflection #Reflectionbygeet #Gold #Diamonds #Angel #Wings #Fashion #Fly #Vogue #Luxury #Trend #Finejewellery #Lovejeweller #Jewellery #Everyday #Rings #Party #Lover #luxurylifestyle.